Braun Intertec places a high degree of importance on protecting the health and safety of its employee-owners. We lead continuous improvement initiatives related to our processes, procedures and safety culture. Braun Intertec invests in safety by providing extensive employee safety training and development, enforcement of safe operating procedures, using quality safety equipment and engaging our employee-owners in actively focusing on safety every day. At all levels of our company, from the CEO to all entry-level positions, safety is a priority. We continue to improve our safety systems and programs, which are designed to reduce risks and deliver continuous improvement. 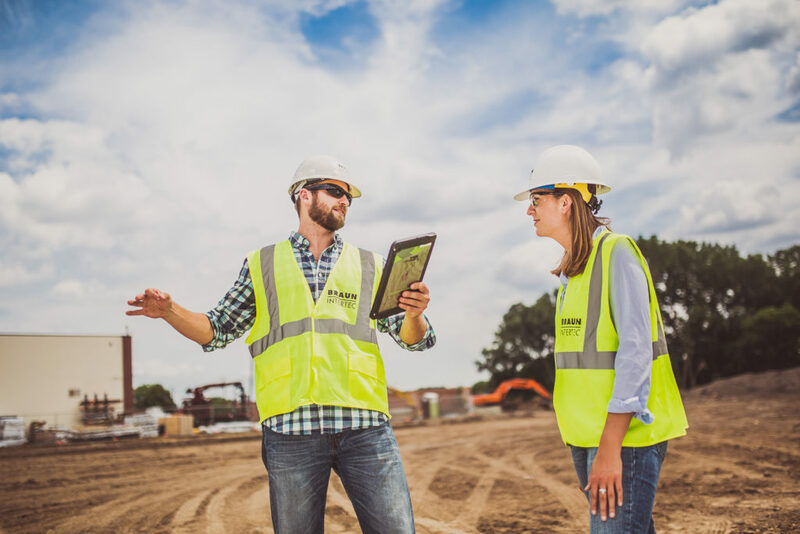 Braun Intertec continues to be innovative in safe work practices by using job safety and hazard analysis tools to set expectations, guide procedures and shape behavior. We frequently conduct “toolbox talks” and share “safety moments” and behavior-based safety audits with co-workers. Quality is key to client satisfaction at Braun Intertec. Our goal is to deliver the highest quality to our clients on every project, everyday. We strive to continuously improve our processes and deliver quality services to our clients by utilizing an active quality team that includes employee-owners from around the company. We value employee input and support involvement in our continual improvement efforts. From our quality management system to routine quality audits, quality is an important priority at Braun Intertec. To provide our clients the highest level of service and expertise, we have developed a range of quality assurance programs and guidelines. Our employees both achieve and maintain the appropriate certifications based on the requirements of the construction and testing industries. These certifications are yet another part of our overall quality assurance program and demonstrates our high level of professionalism and commitment to quality. Requiring our professionals to receive and maintain certification by many local and national industry organizations is just one of many ways that Braun Intertec shows our commitment to providing you with quality service and a high level of client satisfaction. For more information about our company certifications and accreditations, please contact us.